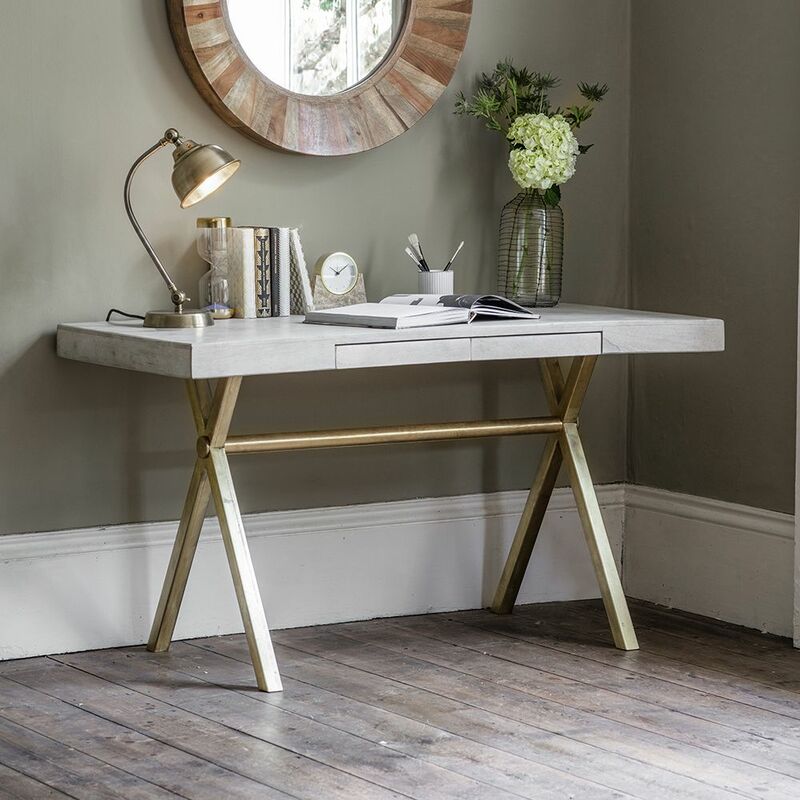 Whether you work from home or you simply need some space for paperwork, teen’s study or children’s homework, our generously sized Chevron Writing Desk has everything you need to write, work at the computer or get crafty. 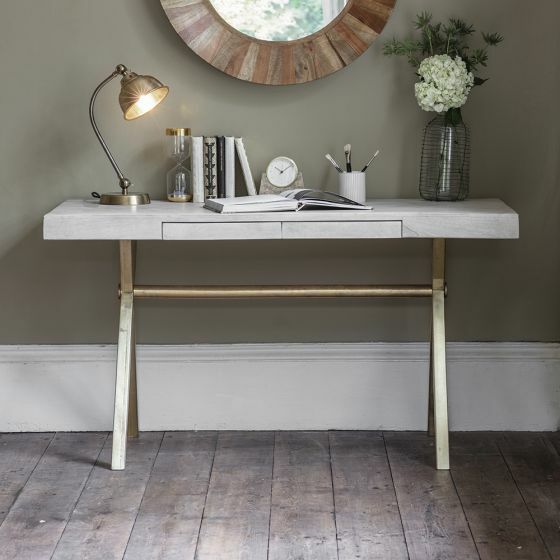 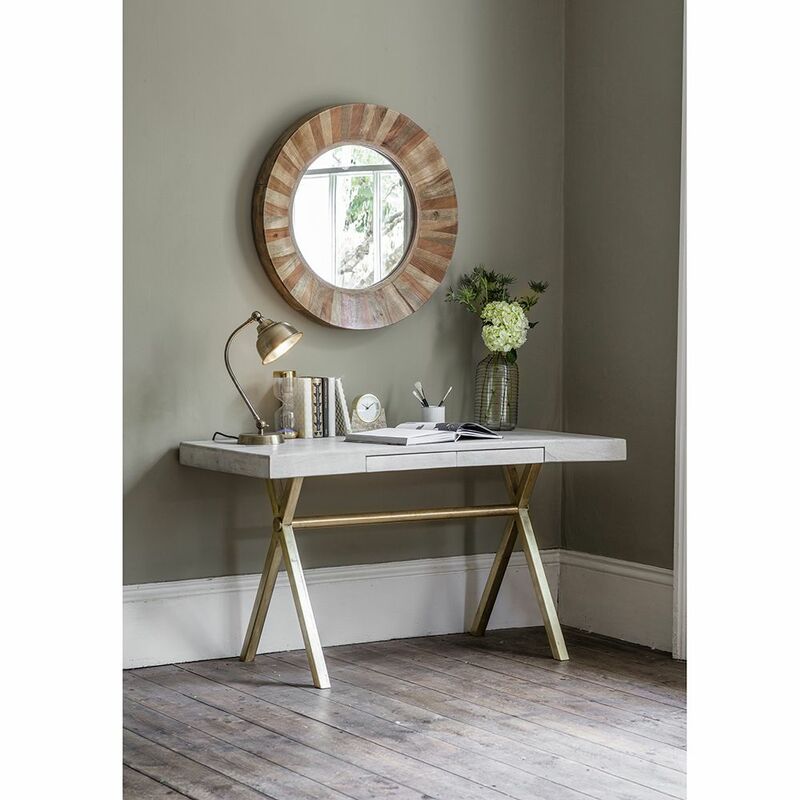 In a whitewash mango wood finish with antique brass legs, it comes with two handy drawers for pens, pencils and notepads. 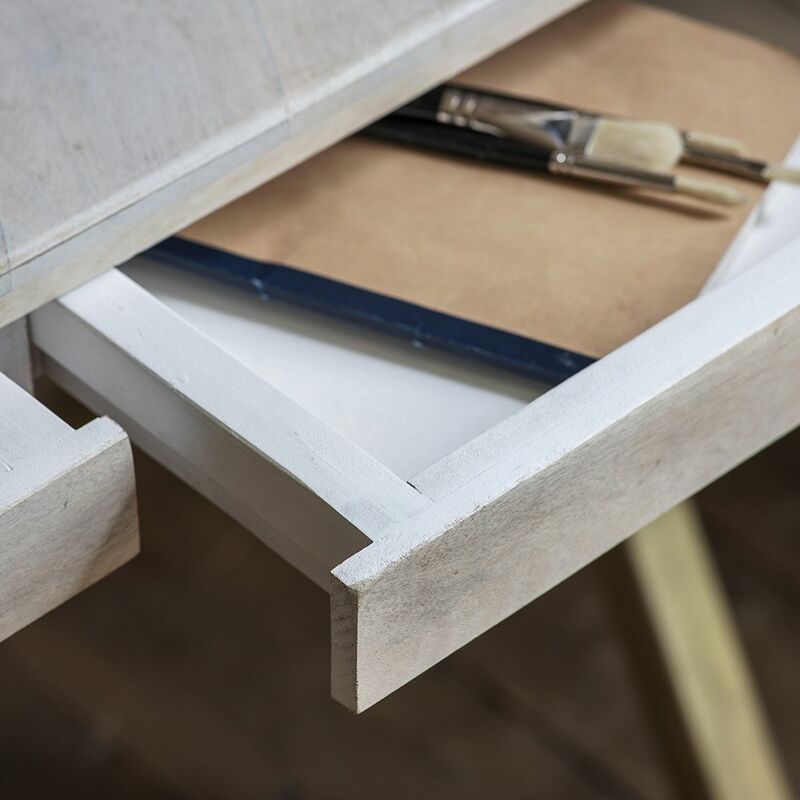 For a co-ordinated look throughout your home, take a look at our matching Bedside Drawers, Chest of Drawers and Media Unit, too.